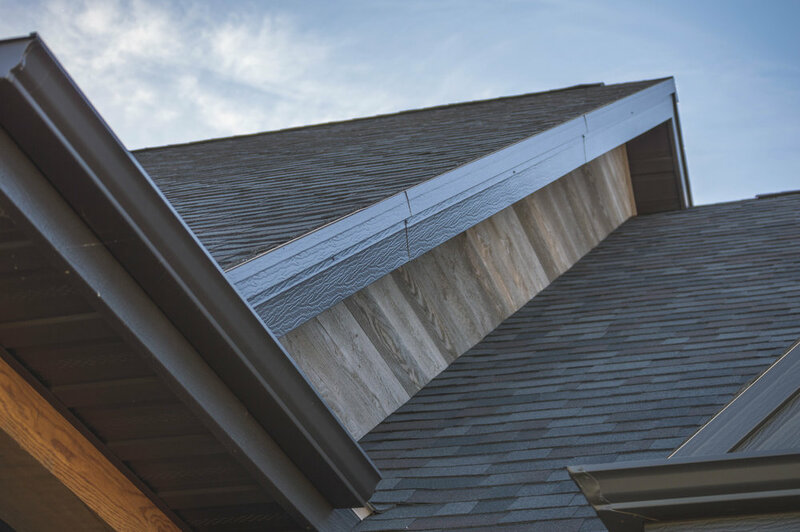 Edge Residential Soffit is made from industry standard .019 gauge coil and textured for extra strength and a woodgrain appearance. 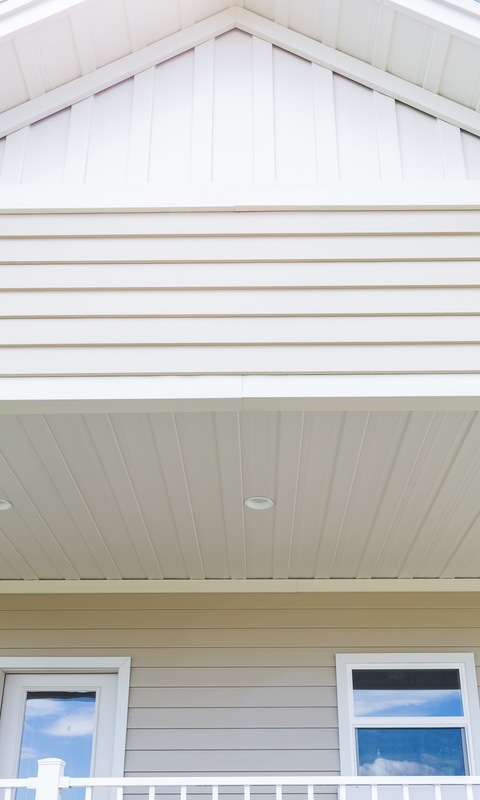 Edge Residential Soffit features a distinctive board and batten profile, locks like a siding panel, and has a 12" width which allows the entire box to be cut on a standard trim saw. The 12" width also allows for easier layouts (20' eave needs 20 pieces). 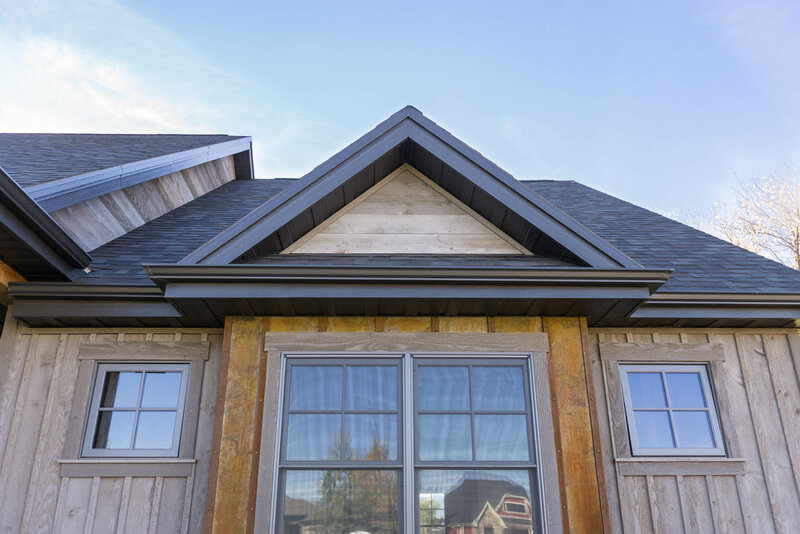 The siding style lock, coupled with the 12" width, allows you to span larger overhangs without panel sag or the risk of blowouts. 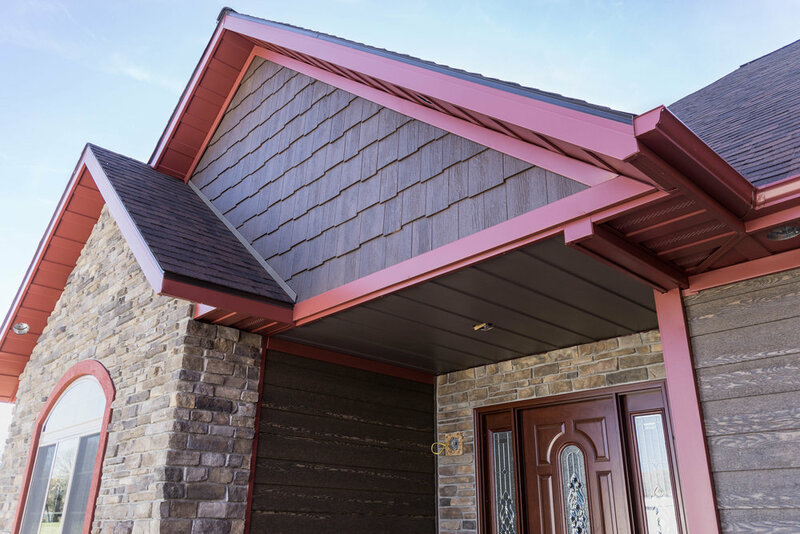 If you have over a 3' overhang, have a high wind area you are concerned about, or want soffit in one of the special order colors we recommend using our premium soffit panel. Edge Premium Soffit/Porch Ceiling is made from .027 gauge coil which is 40% thicker than the industry standard. 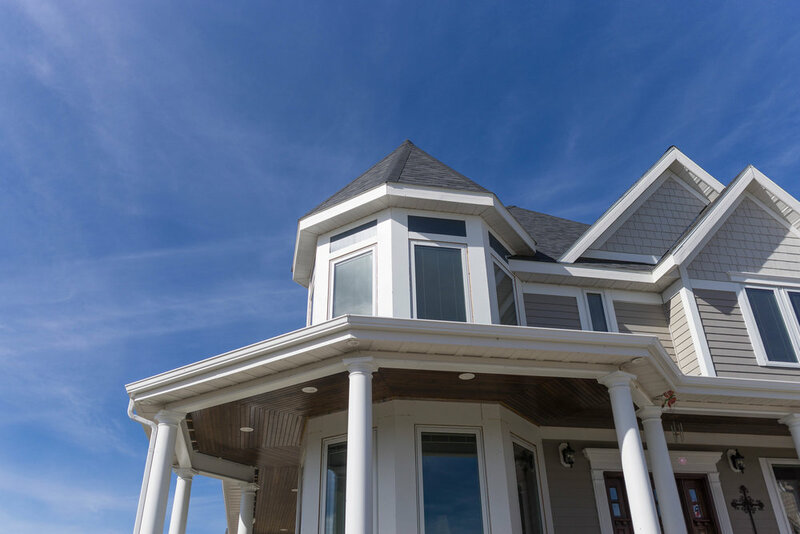 Edge Premium Soffitpanels lock like a siding panel, ensuring the panels don't sag and all fasteners are concealed, leaving you with a seamless porch that will last a lifetime. Our porch ceiling panels can also be used for soffit if you have a large overhang or a high wind area.